Country music’s first major “supergroup” was formed in 1985, comprising Willie Nelson, Waylon Jennings, Johnny Cash and Kris Kristofferson. The Highwaymen took their name from a Jimmy Webb song (“Highwayman”), later famously covered by Glen Campbell, about a soul who went through different incarnations. For these four country greats, the Highwaymen was just another career incarnation, so to speak — one that lasted a decade and yielded a couple of albums. Jim Brown is a four-time Emmy Award-winning producer/director/writer and cinematographer who is responsible for some of the most popular and critically acclaimed musical documentary programs of the last four decades. These include 50 Years With Peter, Paul and Mary, Billy Joel: A Matter of Trust-The Bridge to Russia and American Masters – Pete Seeger: The Power of Song. 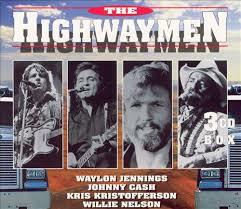 He breaks new ground with THE HIGHWAYMEN: FRIENDS TILL THE END. Terry Jennings had a front-row seat to his father, Waylon Jennings iconic country music career. A complex man, Waylon’s relationship with drugs and women is the stuff of legends. But through all of the ups and downs of his life, Waylon Jennings was always the consummate musician and at his heart a family man. Terry saw it all and offers up surprising insights into his father, the man and his music. 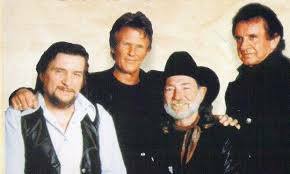 A look at country music ‘supergroup’ The Highwaymen with producer of THE HIGHWAYMEN: FRIENDS TILL THE END, Jim Brown and at the man who was Waylon Jennings with Terry Jennings author of WAYLON, TALES OF MY OUTLAW DAD, Wednesday, September 7, 3 pm ET on The Halli Casser-Jayne Show. For further information visit Halli Casser-Jayne dot com. In the first official statement concerning the rumored memory problems of singer/songwriter, musician and actor Kris Kristofferson, longtime publicist Tamara Saviano says he is suffering from “short term memory problems due to undiagnosed and untreated Lyme Disease. He’s been getting treatment and is much, much better.” Her comments came in an explanation addressed to the host of The Halli Casser-Jayne Show, Halli Casser-Jayne. Saviano was responding to a request to clarify Kristofferson’s condition, following her written denial that the Grammy Lifetime Achievement recipient has Alzheimer’s Disease, as originally asserted by and later retracted by four-time Emmy Award winning producer Jim Brown to Halli Casser-Jayne on her show. Brown is the producer of ‘American Masters, The Highwaymen – Friends Till the End,’ documentary, featuring Kristofferson that recently aired on PBS stations and is now available online. Brown interviewed Kris Kristofferson and his wife Lisa for his documentary. Earn extra cash and have fun earning it! The Lyme and Tick-Borne Disease Research Center at New York’s Columbia University Medical Center states that “The cognitive problems [most commonly associated with Lyme’s Disease] include problems with short-term memory, problems with verbal fluency such as in name or word retrieval, and problems with slower speed of thinking.” Patients typically report that they have “Brain Fog.” Untreated Lyme Disease can become a chronic problem leading to neurological disorders. Most cases of Lyme Disease that are caught early are curable. According to Saviano, Kris Kristofferson, who turns 80 on June 22nd just stepped in for the recently deceased Merle Haggard with Merle’s band the Strangers and Merle’s sons. He is going on tour with Willie Nelson in June, and then doing solo dates around the US for the rest of the summer. He will travel to Norway in the fall. 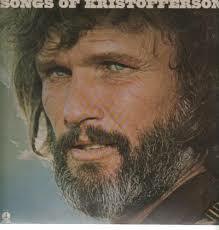 In addition to the Highwaymen and Sony reissues, Kris Kristofferson also has a new studio album coming out for his 80th birthday. Journalist Halli Casser-Jayne, host of the show of the same name is not new to journalism. War correspondent, documentary producer, and radio host, Casser-Jayne worked with Door’s drummer John Densmore on his bestselling autobiography, RIDERS ON THE STORM. To listen to Halli’s conversation with Jim Brown and author of WAYLON: TALES OF MY OUTLAW DAD, Terry Jennings, oldest son of country singer Waylon Jennings visit Halli Casser-Jayne. The Halli Casser-Jayne Show posts original episodes Wednesdays, 3:00 p.m., eastern time.